The more I get right, the more emboldened I become. SO, If you had $10 to spare and could find any bookies to give you the odds, then I would stick that cash on the next project from Matt Groening being called Disenchantment. 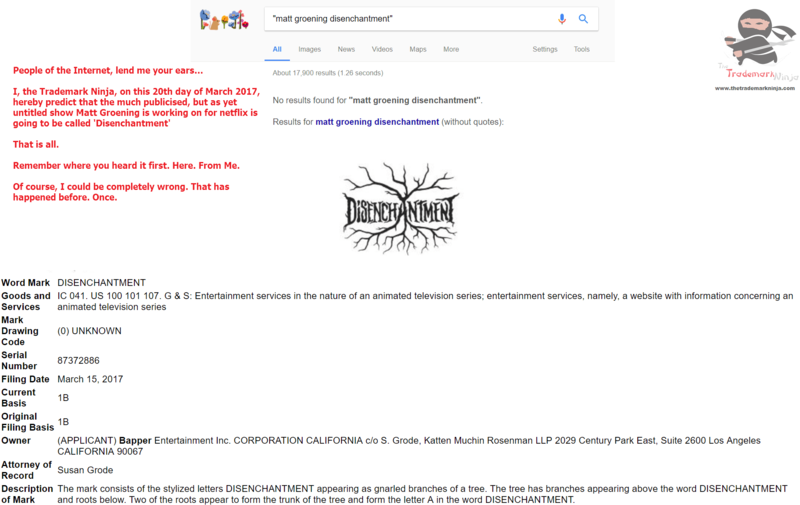 There’s been a lot (A LOT) of trademarks filed by a company called Bapper Entertainment for both the word ‘Disenchantment’ and the above logo. All over the world. Which makes these applications stand out. In outlay (so totally excluding lawyers fees) this company has spent over €20,000 by my, very rough, calculations applying for these trademarks around the globe. So, not an insignificant amount of money then. People will tell you companies does this all the time. They don’t. 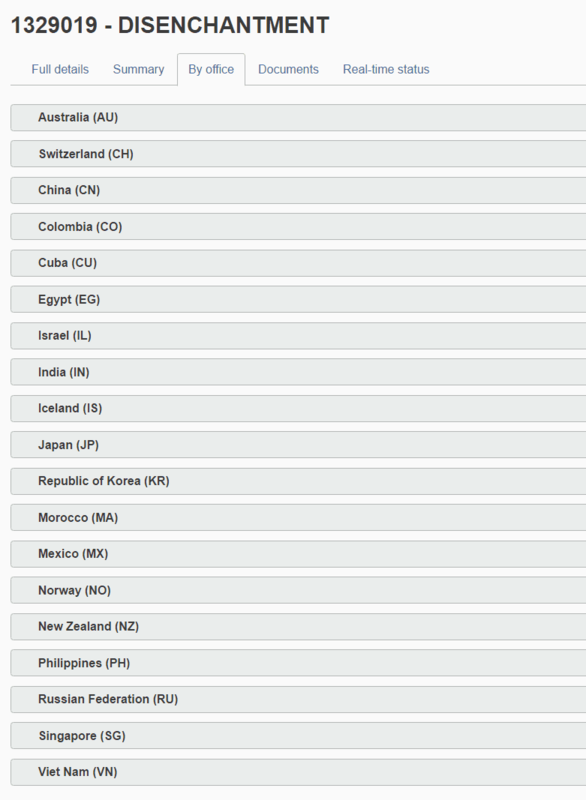 You almost never see a global trademark application pattern on this scale unless it’s for something big. Finally, According to the internet (which never lies), Matt Groening is or was in some way involved in Bapper Entertainment. Here’s one such application for the trademark in the US and the Google Search results that show that Google doesn’t think I’m right. I may not be, but I’ll be danged if I’m going to let the JK Rowling thing happen again! *There is absolutely no science involved. I could very easily be wrong. You were right. Well deduced!